posted August 29, 2013 02:22 PM bonus applied by angelito on 13 Sep 2013. Edited by Darmani at 14:31, 29 Aug 2013. When Richard of Carracia lost his hand in battle, the wizard Roethel presented him a new one, one fueled by an internal lightning, with a mind of its own and the strength of a thousand. On that day, he became Richard, King Ironfist. On that day, he condemned his family to centuries of betrayal and bloodshed. Now three years in development, we are pleased to announce the first release of Project Ironfist, our new mod for Heroes II. 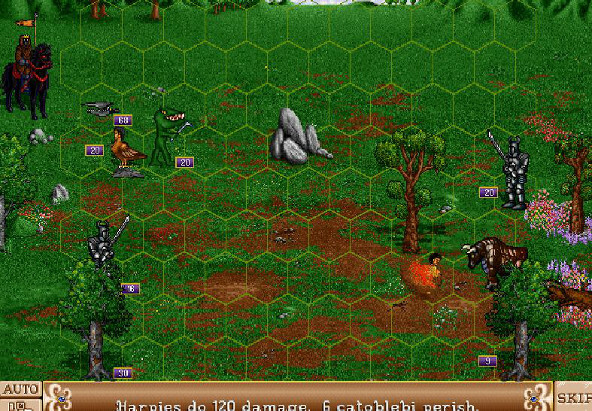 Similar to what WoG has done for Heroes III, we have extended the game with map scripting, added new spells and artifacts, and made it easy for anyone to add their own new creatures. Unlike WoG, our focus is on creating an expansion with solid game-design and a strong plot, with plans for three new factions. You can see the demo video, or go to www.ironfi.st to download the game. It took a year and a half of reverse-engineering alone before we could mod this game at all. But now we've had help from over 20 people, and have produced a lot of cool stuff we're really excited to share. Project Ironfist has been a long journey of love so far. We hope to walk the rest of it with you. The new possibillities are amazing. 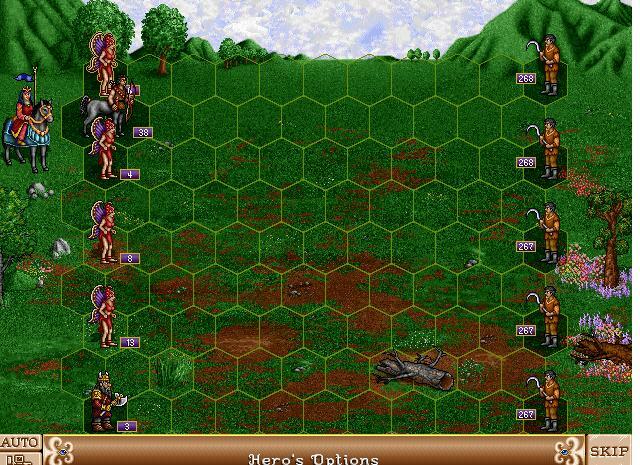 Heroes 2 was always one of my favourite games and I've always regreted lack of modding aspect. 10/10, astonishing work! Even though the graphics of new creatures need some improvement, it is still impressive. Maybe you could join forces with Kivo from the Succession Wars mod? He is a great graphic. I read the CH thread last year, but I never thought you would come with this kind of stuff like adding new creatures or artifacts, scripts...respect. AMAZING! New creatures are plain ugly, but new factions/arties and map scripting sounds sweet! Black Knight seems OK imo. Edited by kivo at 21:05, 29 Aug 2013. It's a shame that pixel art takes so much time. :/ Anyway, I wish those guys all the best with the project! So, Chain Lightning hits a creature, and then moves on to the nearest creature which isn't immune. But how does it determine nearest? What measure of distance does it use? Pixels. It simply computes the Euclidean distance from the center pixel of one stack to that of another, and finds the closest. What if there's a tie? Sorry first player; you lose. What if there's a tie? Sorry first player; you lose. What do you guys mean by this? I made some tests and didn't stumble upon anything unusual. Could you please clarify the last statement? And I must admit you've done insanely amazing job! Congratz! Ah, I see your confusion. That page wasn't about any changes in Ironfist -- it's a description of how Heroes II already works. It's not unusual because it's simply describing exactly what you've been seeing all along. So, suppose you cast chain lightning on a creature. 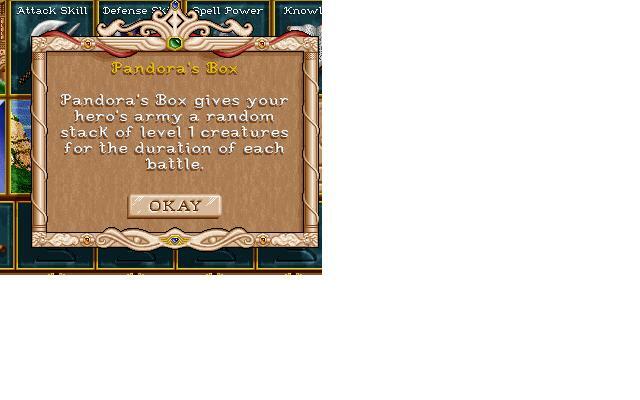 There is one enemy creature two hexes above it, and another one two hexes below it. Which one will the chain lightning strike next? It depends on how "tall" the creatures are. Edited by AlexSpl at 01:47, 31 Aug 2013. And what happens when the distances are equal? Why should the first player lose? Edited by Darmani at 04:09, 31 Aug 2013. In the case of a tie, the game just picks whichever one it looks at first -- and it looks at all the first player's creatures first. Would it be possible to add quick combat? When playing H2, that's the thing I miss the most from 3 and 5. Should be pretty doable. The AI already fights all its battles using a version of it. I am glad to see that groups of people work on Heroes 2 after all this time to make the game they enjoy even more enjoyable by those who still play it! Hope mapmakers would be interested to make big story rich maps with this mod! Ah, so cool to know HMMII can be modded. It was my favourite game from the series. I could only dream that someone would ever manage to change and improve it. Concerning this project, I can say that Black Knight looks acceptably good, though a bit slouching. Other creatures do not deserve such attention, unfortunately. Perhaps, adding a blackened axe (taken from Minotaur, for example) to the knight might suit more? That's a great idea! And yes, we've had around four times as many programmers as artists on this project, and it shows.. Heroes II is my favorite from all the series, and that mood look awesome. Do you thinkin about modding heroes II first? Edited by Notorious_T at 17:24, 02 Oct 2013. This is totally awesome! I've been lurking various Heroes forums waiting for exactly this type of HoMM mod to come out. Though sadly, it doesn't work on my computer, I will patiently wait for future releases.